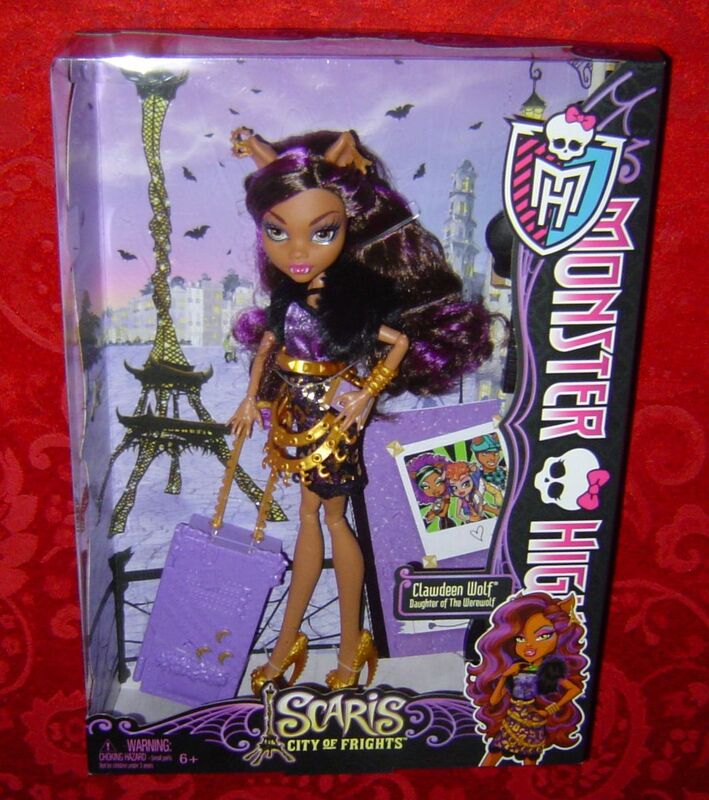 Monster High Scaris City of Frights Clawdeen Wolf Travel Doll. Daughter of The Werewolf. 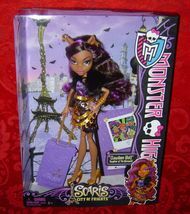 UPC 746775185879 Includes doll stand, sketch book, suitcase and brush. 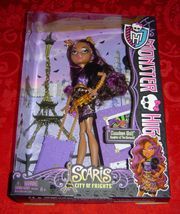 2012 Mattel. New in package, never opened. 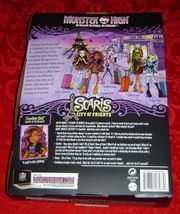 The Ghouls Of Monster High Are Hitting The Skies For Their First Trip Abroad Together In Monster Style! Their Destination Is Scaris, The City Of Lights And Hometown For Rochelle Goyle. 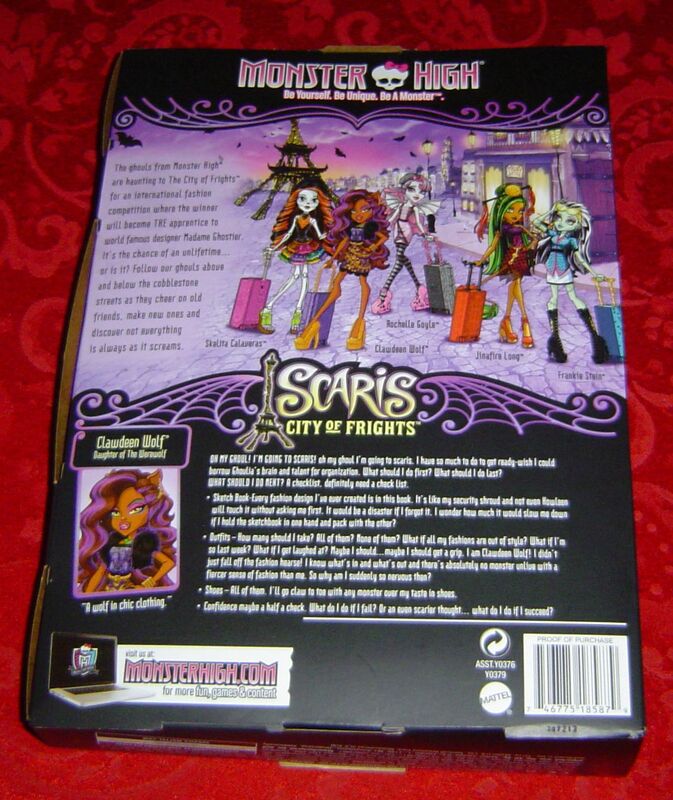 A Popular Destination For Jet-Setting Ghouls, Clawdeen Wolf, Frankie Stein And Rochelle Goyle Meet Two New Friends While Traveling The City: Skelita Calaveras And Jinafire Long. 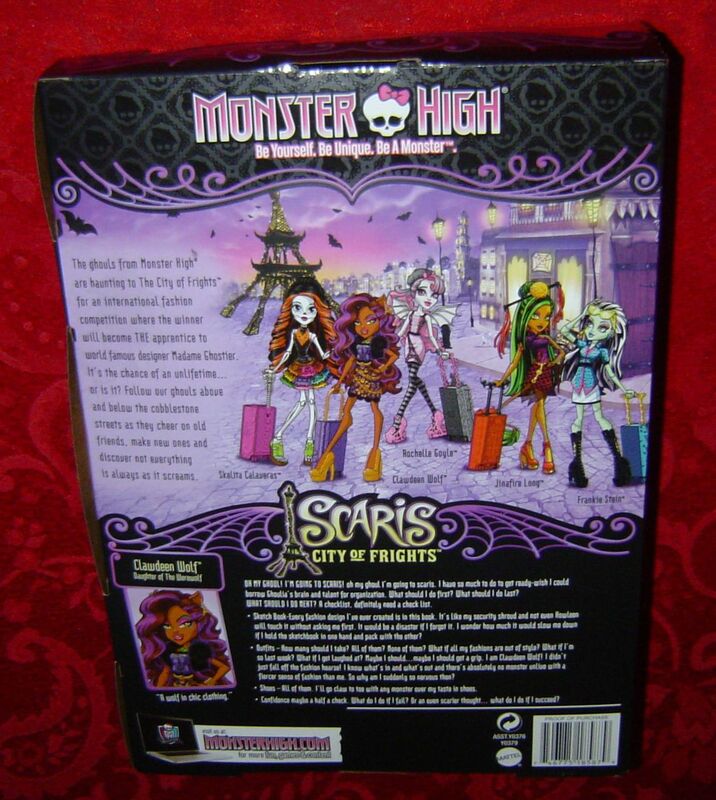 With Their Funky Fashions And Journaling Ways, They Fit Right In With The Monster High Crew. 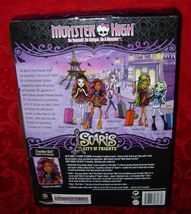 Each Doll Wears A New Travel Outfit Complete With Jewelry And Comes With A "Rolling" Suitcase And Travel Journal Or Sketchbook To Capture Those Memorable Moments. Also Includes Hair Brush And Doll Stand For Picture-Perfect Snapshot Poses. Dolls Cannot Stand Alone.